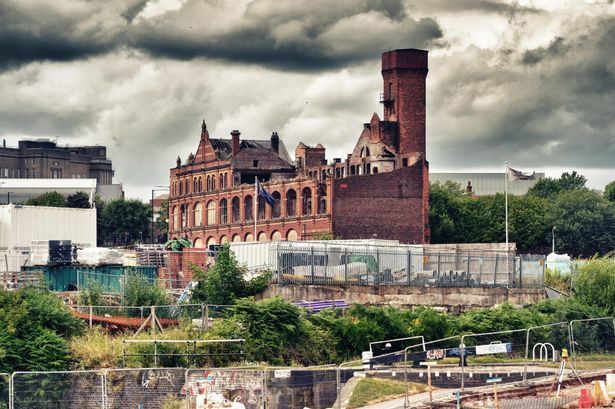 Work can now start on the renovation of a historic former cycle works and linen factory in Birmingham to create new offices in the city. Belmont Works, in Cardigan Street, was gutted by a fire in 2007 but city planners said they had been looking to restore it even before the blaze struck. Developer Goodman is bringing the decrepit building back to life as part of its wider Eastside Locks redevelopment near Millennium Point and today was awarded permission to start work by the council&apos;s planning committee. It is the latest in a long line of regeneration projects in the Eastside district and comes as a major public realm, innovation and cultural vision called &apos;Knowledge Hub&apos; is unveiled for the first time today. Coun Peter Douglas Osborn (Con Weoley) said the committee had been looking to preserve it for a long time, since before the fire damage was done. He told the committee: "It&apos;s a beautiful building. I am so pleased that Goodman has come round to the view that it will be not only good for Birmingham but a major asset to their development." Described as an "exemplar of industrial architecture" in planning documents lodged last year, Belmont Works was built in 1899 as the headquarters of the Eccles rubber and cycle company. Goodman intends to carry out demolition and new-build work to create a 21,250 sq ft hub aimed at small- and medium-sized companies and graduate enterprises associated with the Birmingham City University campus and the wider design sector in Birmingham.